One of the first reviews I ever got for my book, Lucifer's Star was one which confused me quite a bit. It said, "I absolutely love this book, great characters, great plot, and a great series of twists. However, it's way too dark so I'm going to give it two stars." I was like, "Hmm, you realize this was a dark science fiction novel, right? Then I realized, no, they probably didn't. Later, I would continue this conversation with a friend who explained to me the problem wasn't I was writing a dark science fiction novel but I was writing a dark science fiction novel IN SPACE. "If you'd written it on Earth then you could have cyberpunk and everything is controlled by robots or it's a nuclear wasteland. In space, everyone expects things to have at least marginally gotten better. Space opera is meant to be happy don't you see?" My first space opera story was Dune, where the lesson wasn't, "Paul Atreides defeats the evil Harkonnens and builds a utopian space empire" but "Paul recruits a bunch of future Taliban who massacre billions in his name, he becomes suicidal, and his son becomes a giant worm." It's just Frank Herbert's editor wisely removed Children of Dune from the back of Dune since it wasn't the ending people were looking forward to. I wasn't helped in this obvious misconception by also enjoying the universe of Warhammer 40K which was based on the fact the genocidal theocratic space fascists were the setting's Good GuysTM not because the authors agreed with their politics (being a bunch of 70s-80s British anarchist youth like the kind who gave us virtually every author I like in comics) but because the universe was that awful. When creating Lucifer's Star, I made it as a deconstruction of something I loved. Which was the sanitized and heroic view of war in Star Wars. Having watched The Force Awakens, I was left with the uncomfortable feeling of, "You know, I would have done that differently." Less so than after the Prequels where all I would have kept was Qui Gon Jinn and Mace Windu but close. I wanted a universe where war was hell, the enemy really was as human as you, and space swords would draw blood. Now, my final book wasn't anything close to Star Wars as it drew as much from Alien, Blade Runner, Dune, and (if I'm being honest) Halo when it was still good. I wanted to tell a fundamentally different kind of space story than the kind I'd read. The idea of a universe where technology has grown exponentially but where human nature hasn't changed in the slightest or, if anything, has gotten worse because we've developed ever more efficient ways of killing one another. This isn't a new idea as my references in the above paragraph show. I'm not the first person to come up with the idea of SpacePunk (to take advantage of the recent trend of applying "punk" to everything which annoys purists on the internet). 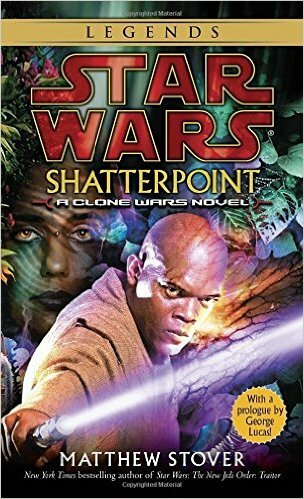 Hell, it's not even new in Star Wars as Matthew Stover's Shatterpoint and Traitor novels prove. Some of my favorite authors have made a living transplanting the struggles of the past and present to the future. My favorite part of the Expanse series isn't the demonic alien fungus that threatens existence but the conflicts between Belters, Martians, and Earthlings over resources. For me, I ended up writing a story that was based on my own experiences watching people deal with the consequences of returning home from war, the arbitrary labels we put on people, and the idea of generational conflicts. In my universe, the "Evil Empire" gets smashed to pieces by the "Good Guy" galactic power only to result in this causing people to lionize the destroyed Evil Empire as standing up to the imperialists. Veterans of the war who lost everything then recruit the next generation and fill their heads with nonsense nostalgia before sending them out to fight the next round. I've read a lot of military science fiction over the years and while it tends to be harder than space opera, there's often a sense of 'rah, rah, rah' which accompanies the conflicts fought. Victory is usually complete in these stories with humanity's brave defenders crushing the aliens by virtue of our awesome and courage. The idea of never surrender and never give up is ingrained in the story. But, for me, I can't help but think, "What if giving up is the right decision and continued conflict is just more meat for the grinder over petty feuds?" The big thing I wanted to achieve with Lucifer's Star was to create a novel of deep contrasts. A world where mile long spaceships pound away at each other but each blast ends up causing people to be incinerated or suffocate in vacuum. A novel where a handsome prince type leads thousands into battle, only to deal with the consequences of the fact they were all killed thanks to his speeches. A place where we finally perfect androids and replicants ("bioroids") who can't rebel and then use them to fulfill every dark urge. You know, the fun sort of future we all imagined we'd experience. Why do it in space? I dunno, I think there's just something to be said about human nature that points made about it are just more grandiose in the far future. I think we're eventually going to leave this planet but we're going to take everything with us. 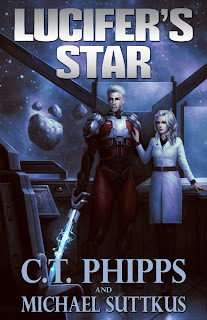 C.T Phipps is a lifelong student of horror, science fiction, and fantasy. 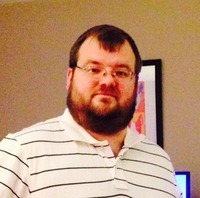 An avid tabletop gamer, he discovered this passion led him to write and turned him into a lifelong geek. He is a regular blogger on "The United Federation of Charles" (http://unitedfederationofcharles.blogspot.com/). He's the author of The Supervillainy Saga, Cthulhu Armageddon, Straight Outta Fangton, and Esoterrorism. Cassius Mass was the greatest star pilot of the Crius Archduchy. He fought fiercely for his cause, only to watch his nation fall to the Interstellar Commonwealth. It was only after that he realized the side he'd been fighting for was the wrong one. Now a semi-functional navigator on an interstellar freight hauler, he tries to hide who he was and escape his past. Unfortunately, some things refuse to stay buried and he ends up conscripted by the very people who destroyed his homeland. 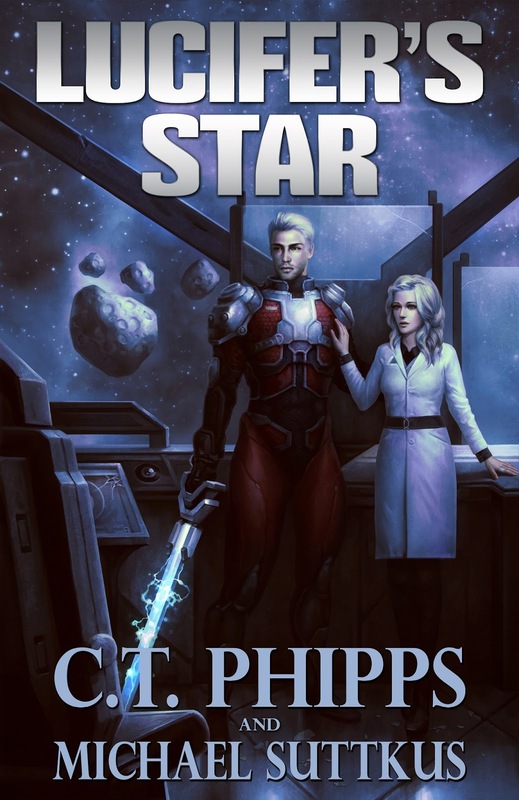 LUCIFER'S STAR is the first novel of the Lucifer's Star series, a dark science fiction space opera set in a world of aliens, war, politics, and slavery. It's an honor being on your site, Bob! I really resonate to what you write here, especially regarding dark Space Opera. Interesting comment on Star Wars, reminds me of how I loved Rogue One at the start because it had the rebels as ambiguous, before they also become nobly sacrificing goody two shoes, at which point I got bored with the story. One thing that really puts me off in a story are swashbuckling good guys, whether heroes or antiheroes, selfishly or nobly fighting for good. Like you I find a lot that attracts me to the bleakness of WH40k, only it beats me why they have super-powered bovva boy orks as the chief antagonists. If only they were something genuinely creepy and lovecraftian, rather than laughable (on the other hand, chaos space marines are great, and more slanted to the lovecraftian which should be the true foundation of that universe). Inevitably, the most appealing protagonists for me are underdog characters like the two asian guys and the droid in Rogue One, and Paul de Fillipo's tragic splices (see his collection of short stories Ribofunk; these would be the equivalent of the bioroids in your universe). But also more powerful characters like the WH40k rogue traders, who manage to carve out a little kingdom for themselves in the most oppressive universe imaginable. My WIP features a teenage girl protagonist living in a sort of shiny consumerist dystopia, like WH40k (minus god-emperor) meets Reality TV and the military entertainment complex. I guess she's like a futuristic, and more clueless, Catcher in the Rye, rather than your more powerful Dune-inspired protagonist. I'll certainly check out your book when I have more time, it's ironic that writers are often the ones with the least time to read. Anyway it's great to know there are like-minded people out there, writing about the sort of fucked up universe I'm also writing about. I wouldn't say the orks are the main antagonists of 40k, just one of them. Look at the Necron, Tyranid, and Chaos for creepy stuff. Or the Imperium of Man. The orks are supposed to be football hooligans who live to fight and cause trouble. Karin Lowachee was my first truly dark tale in space and I love that series because the tough parts make the wins that much sweeter. I look forward to checking out Lucifer's Star. I do tire of space opera being all action and happy endings. It's good sometimes, but other times I look for something with a bit more meat on it.